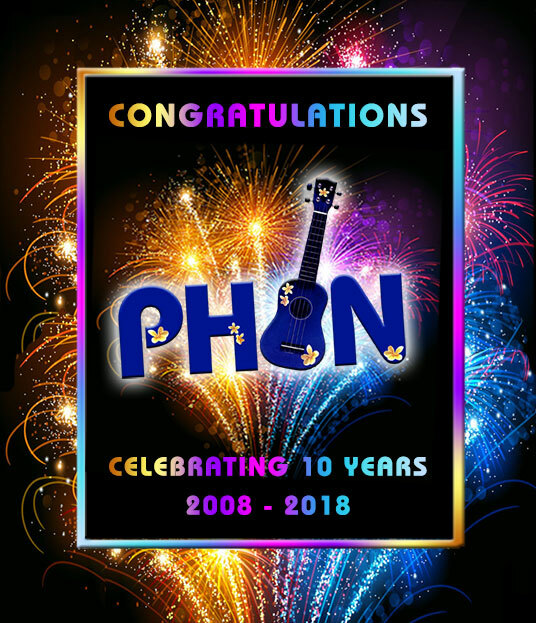 Thank you dear Ginger and everyone in the Hobart Ukulele Group for your best wishes as we celebrate 10 year of PHUN today. We are grateful for all the musical joy, friendship and encouragement that the last ten years represent. Arthur, Denise and all at PHUN.